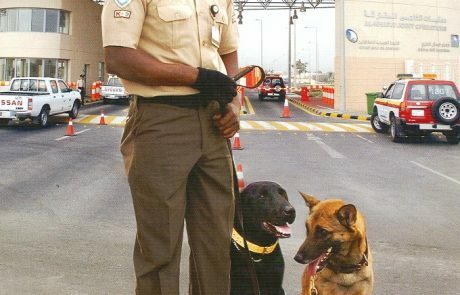 Elegant Services Group, a pioneer in providing Security Services to factories, business firms, hospitals and corporate offices has now added one more service to meet the increasing security requirement of our valued clients: Canine (K-9) Service. 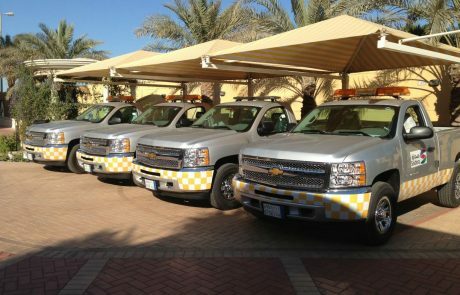 This service is completely focused on providing required and adequate security in the largest business areas as gas and oil exploration. 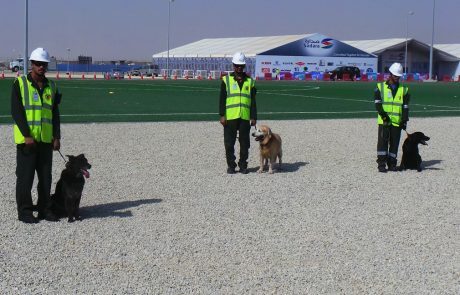 We provide explosive detection man and dog team that is entirely focused on explosive detection, narcotic detection, arson and patrolling services. 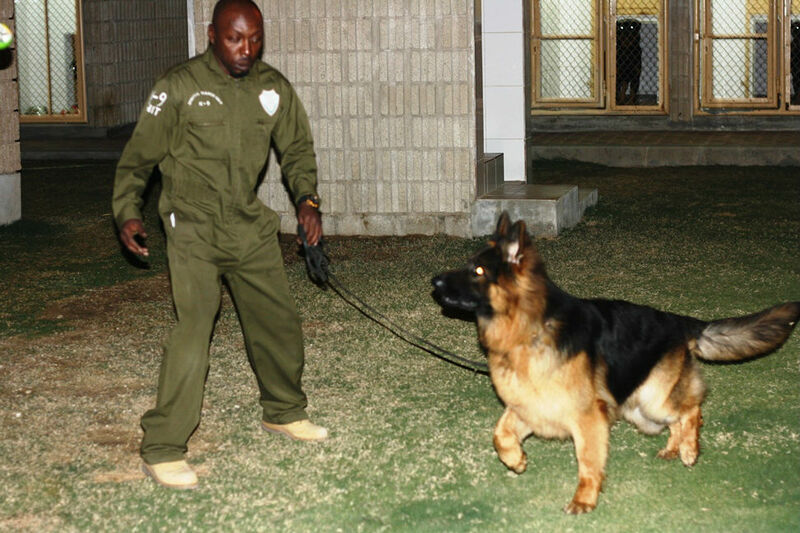 With this discipline in mind, we believe that the client benefits by receiving highly trained dog and personnel that are employed as dog handlers and are extensively trained in that area. Elegant K-9 service is highly committed to providing extensively trained canine handlers and independently certified and qualified canines for the protection of people their assets, lives, and environments. Whatever the environment, Elegant K-9 Service has a man and dog team ready to service your needs for your peace of mind and the safety of visitors and employees. Elegant K-9 Service is operated by an expert Canine Team trained in abroad working with well-trained dogs for nearly ten years. The team has extensive work experience in areas of patrolling, tracking, and various detector duties of both kind civilian dogs and law enforcement canines and have received numerous awards for their performances. 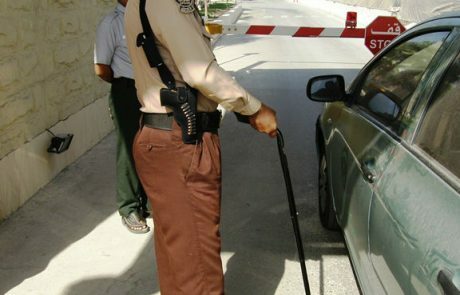 The philosophy at K‐9 Services is to provide proper security for safety and law enforcement. Sports training, personal protection, and guard dog training are inadequate for law enforcement concerns. The process that a handler candidate participates in at Elegant K‐9 Service is geared towards producing a well-balanced handler with skills in the areas of maintenance training, officer safety, legal concepts fordetection and apprehension work, documentation, and court testimony. 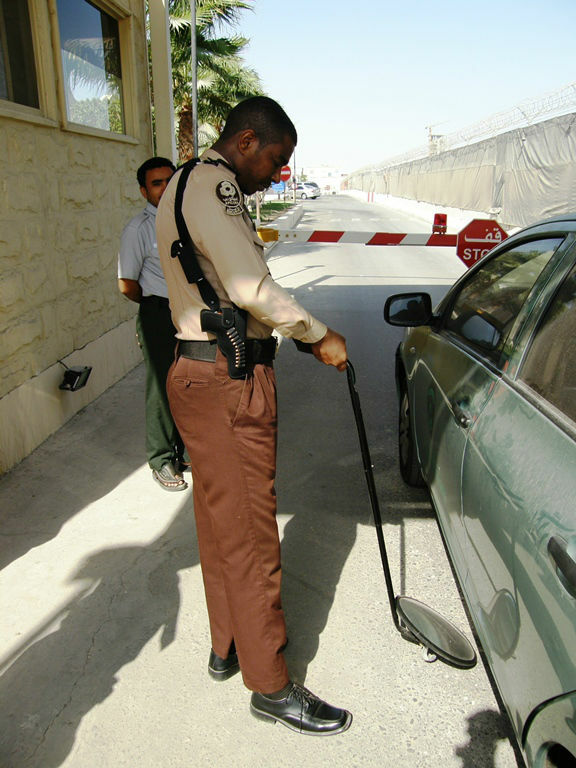 security guards but we provide security guards and/or patrol services as well as an explosive and narcotic detection K‐9 service, we at Elegant K‐9 Service are the total solution of your security needs. This ensures that the customer receives a service that is at the forefront of this field. 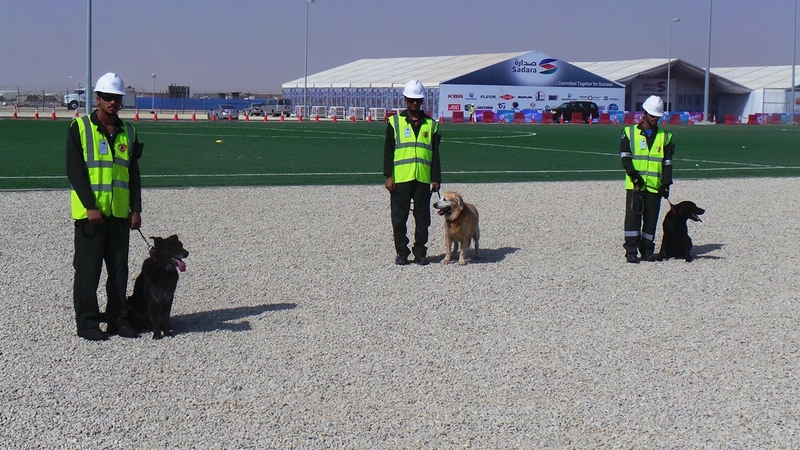 Our teams are extensively trained in every aspect of explosive detection work, and the dedication of our employees makes us the leaders in what we do. 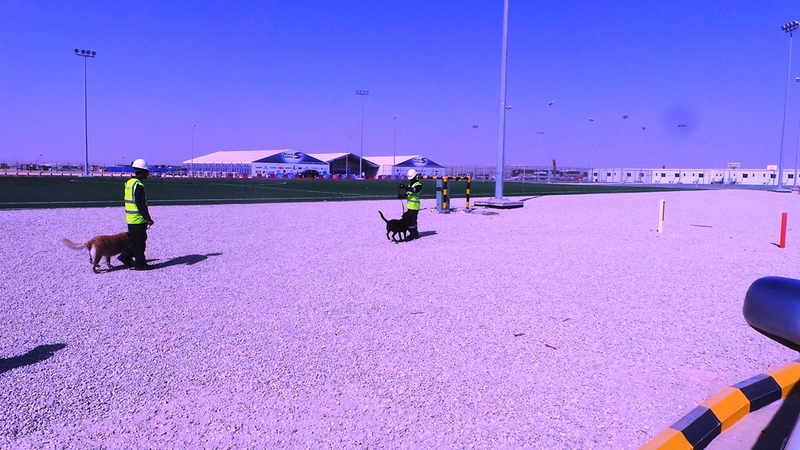 Elegant K9 Service can provide you with a single or multiple Man and Dog team for the purpose of Explosive Detection. 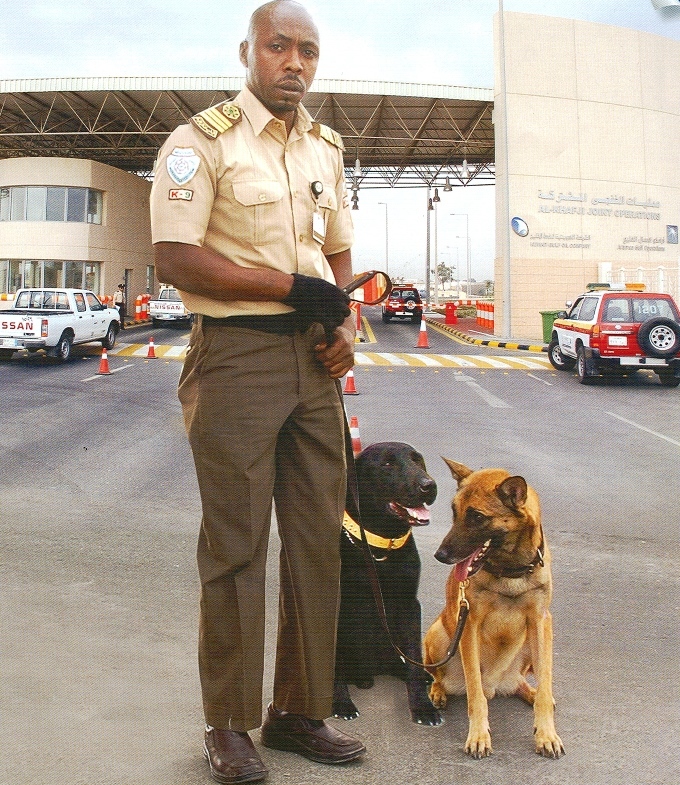 Our detection dogs have the ability to detect all explosive compositions used in the production of explosives including commercial and military compositions. Some of the explosives our detection dogs are trained on but not limited to include: TNT, RDX (Hexogen), PETN (Nitropenta), SEMTEX, Ammonia Nitrate, Ammonia Gel, Power Gels, Sodium Chlorates, Potassium Chlorate, Potassium Nitrate, Nitro Glycerine, Nitro Cellulose, Black powders, Smokeless Powder, Gun Powders, HMX (Oktogen), All Dynamites, TATP, HMTD, TNA, TNB etc. We can provide you with highly trained canine handlers and independently certified and qualified canines. Elegant K9 Service has a man and dog team ready to service your needs for your peace of mind and the safety of visitors and employees. The K9 Services Unit is commanded by an abroad‐trained team who manages the general personnel, training, force investigations and administrative duties of the unit. A K9 Sergeant supervises each K9 team to ensure the objectives and mission of this unit is carried out. 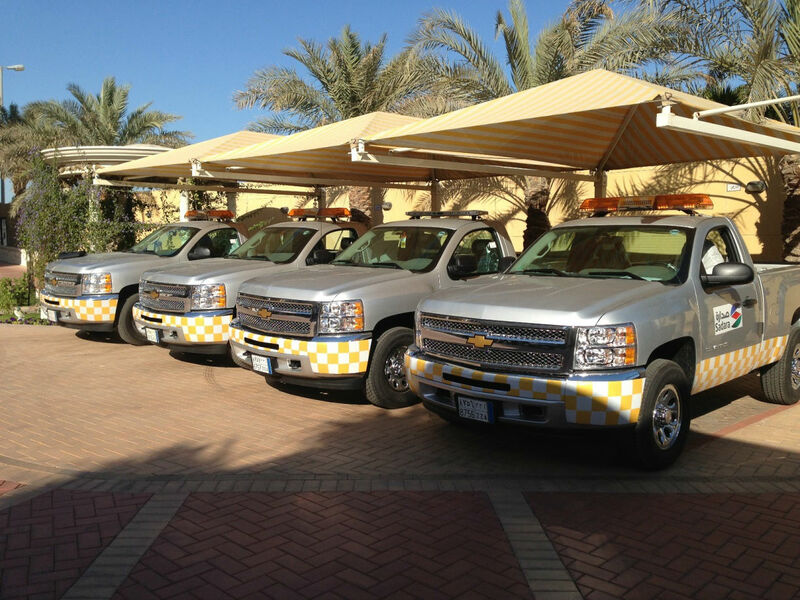 Our expertise is to a high standard, providing a competent and reliable service to our customers. 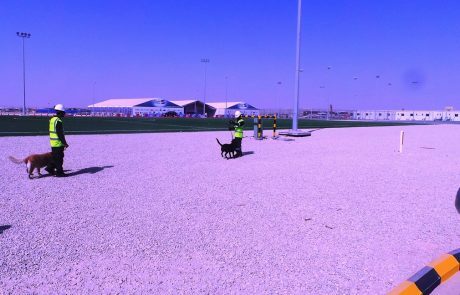 We provide enhanced training for ‘security’ needs as well as ‘crime prevention’ so that our K‐9 service covers areas such as patrol, narcotics detection, explosives detection and arson detection, all based on a global standard. 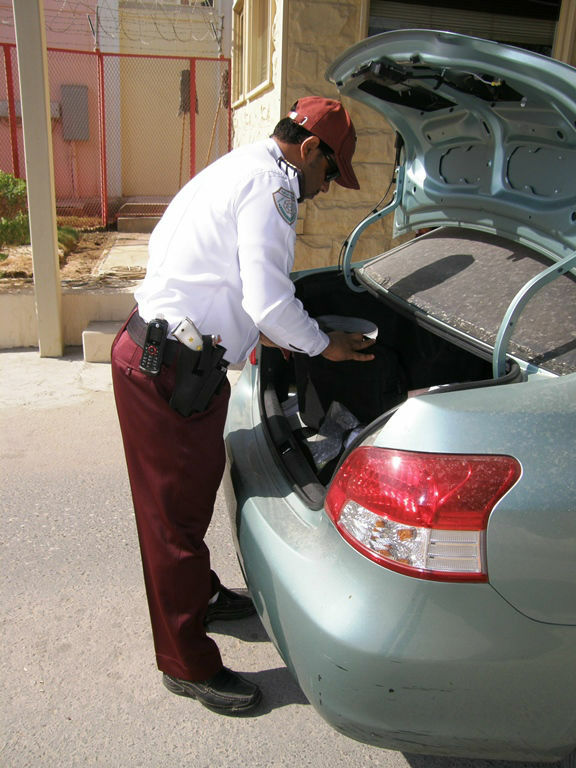 We recognize that your business and personal security is important to you and therefore offer a 100% satisfaction policy. Our K‐9s are trained to detect the presence of substances such as marijuana, cocaine, and heroin. 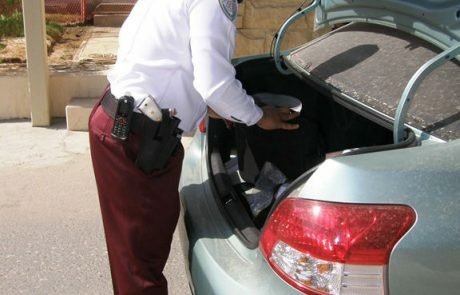 These dogs are trained to find these substances in various locations such as vehicles, luggage, mail packages, cargo, residence, and businesses. Other detector dogs (explosives, search, and rescue, cadaver, arson dogs, etc.) are also selected for their intensity, drive, and compatibility. So our K‐9 team is fully capable of Explosive Detection, Arson Detection, Area Search, Building Search, Vehicle Stops, Evidence Search, Criminal Apprehension, Patrolling etc. Whether your business organization needs fully trained Dual Purpose K‐9s, Narcotics Detector K‐9s, Bomb Detector K‐9s, Tracking/Trailing K‐9s or Green Canines/Imports, we have the background and experience to complete the task. 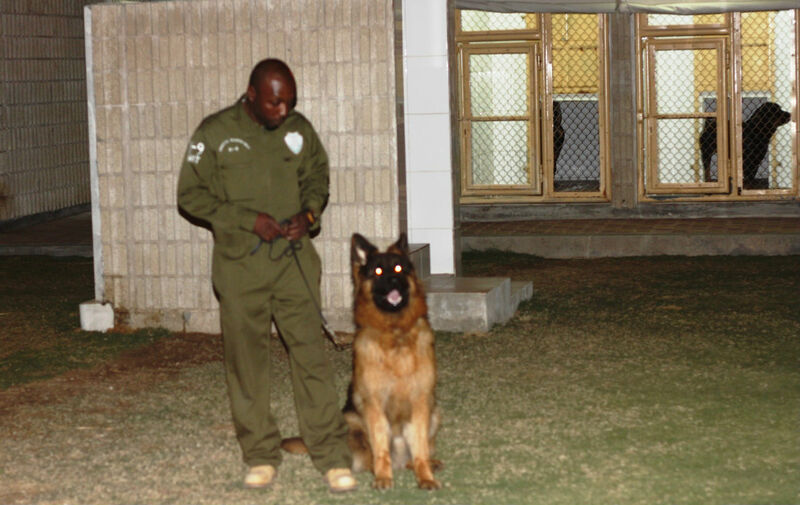 Our K9 team is to help you achieve your security and safety goals. We assure you of only the finest working team. 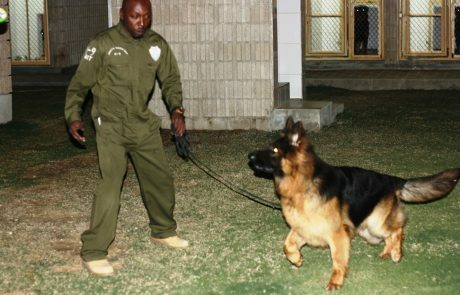 Because many security companies lose their K‐9s due to poorly trained dogs, or the lack of in‐service maintenance training, we offer re‐training courses also, consultations and maintenance training at our facility as part of the K‐9 service.